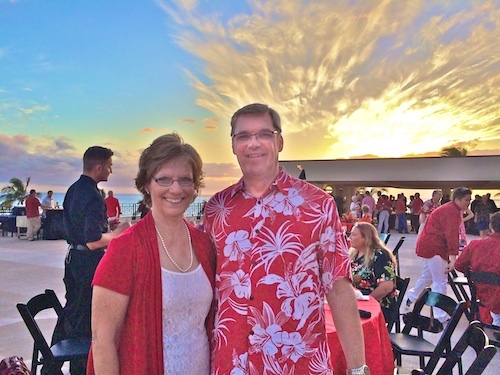 Tom and Denise invite you to share our dreams come true here on Maui. For us, we fell in love with the beauty and the spirit of Maui on our first trip to the Hawaiian islands in 1989. In 1995 we got married on the beach here on Maui and vowed that someday, somehow, we would live here. It took 7 years of planning and 5 more trips to Maui, but in June of 2002 our dreams came true when we quit our mainland lives in the corporate world, moved to Maui, and opened our B&B. We have tried to create a place here where you will quickly feel at home and be able to say that you have a friend on Maui. It is our life's work to help others realize their dreams when they visit our beautiful island.